Last weekend was the Spike’s Tactical Shooting Team’s first time shooting as a team in a major match against over 150 competitors. I am happy to say that the event met and exceeded our expectations. The new 3-man 3-gun format transforms Outlaw 3-gun into a six legged relay race where competitors work together to complete a course of fire. One unique aspect of this match is a “rolling thunder” stage where all three members shoot on the same stage at the same time. Not all targets were visible from the various shooting positions. Therefore, each team had to rely on a different shooter to defeat and activate some of the targets. This added a new and challenging dimension to the stage and allowed some flexibility in each team’s planning and execution. 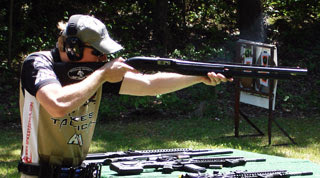 Another unusual aspect was some stages required one person to shoot pistol, another to fire a rifle, and a third to operate the shotgun. We were able to match our strengths with the demands of the stage and tailored who shot which weapon based on our individual skills. Cam is very quick with a pistol so we had him shoot the most pistol stages when available. Ben has had the most luck shooting slugs so he shot a lot of the shotgun portions. We asked our good friend Ryan N. to shoot with us and he’s great with a rifle so we gave him that platform . We ended up placing second in the match and we’re very satisfied with how everything went. With that being said, there is still another match left in the series and we are going after first place. 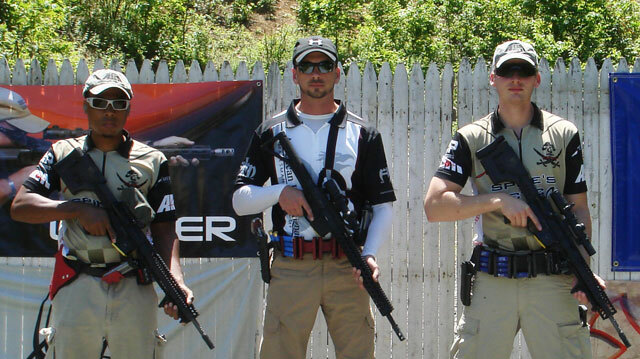 Our next match will be the Task Force Dagger Championship and the 3 Gun Nation Pro Series on the weekend of June 16th. Be sure to check out our Facebook page @ http://www.facebook.com/spikesshootingteam and subscribe to our Youtube page @ http://www.youtube.com/spikesshootingteam. We plan to bring you more videos and tutorials soon! 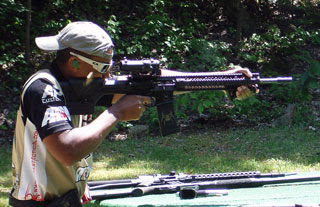 We also appeared on 3 Gun Nations website. Our good friends over at the Military Arms Channel released another great video review over the weekend. This time they reviewed one of our CZ-82 pistols. Check it out! Another great video by our friends over at the Military Arms Channel. The annual WWII reenactment held at Buckley Homestead in Lowell Indiana is an amazing living history event. Reenactors recreate WWII American GI’s, German Soldiers, US Marines, Russian Soldiers and more. It’s one of the best WWII reenactments in the mid-west.